Better English Teaching Jobs Await You! Picture yourself teaching advanced classes for up to double what you are earning now. Smaller classes, motivated students, no discipline problems . . . WHAT are you waiting for? This eBook is a fast and easy step-by-step guide to teaching standardized tests that will help your students get admitted to university programs and improve their job prospects. 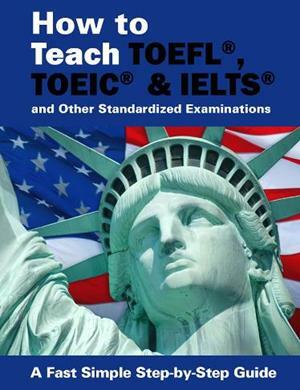 This book is designed for teachers who have little or no experience teaching the TOEFL, IELTS or TOEIC courses. If you look in the major newspapers in non-English speaking countries, you will see advertisements for instructors for these standardized tests that non-native-speakers of English must take to apply to university programs overseas or for international jobs. There is a SHORTAGE of these SKILLED Teachers – YOU can be one of them! When scanning those advertisements, you’ll also notice that examination teachers typically earn MORE than teachers of conversation classes. The most common of these tests are TOEFL, TOEIC and IELTS. This guide focuses on these three major examinations and the skills needed to pass them, but if you follow the simple principles involved, you can apply them to other types of standardized examination as well. Why such a demand for TOEFL and other test teachers? Aren’t there plenty of EFL teachers out there – ready to go? Few EFL teachers understand how to help their students maximize their performance. Even fewer really understand how standardized tests work and why – and this guide includes seven pages just on how the tests work – all written by an experienced EFL Teacher with a Master’s degree in Education and INSIDE knowledge of Examination Testing. 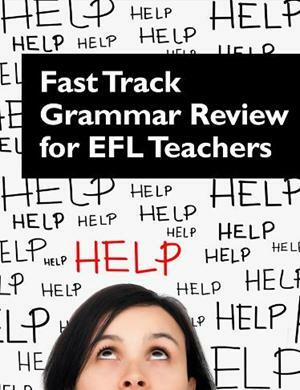 It’s really not difficult and the manual also includes sections on teaching grammar, reading, writing and listening, so you can help your students increase their scores. In fact, the guide includes FREE downloadable grammar and writing books to help you and your students. What are Standardized Tests and What do they Predict? Baselines, Building a Strategy for Improving Scores, Building Skills, Practicing Skills, Practice Testing, What Taking the Examination is Like, What Skills are Tested and How. It’s easy and written in simple language. You can learn how to do it FAST and EASY. This type of teaching is far more satisfying than the typical conversation class that often has too many students and who may be disinterested and unmotivated. Examination students are more MOTIVATED! They know what they want and what they need to do. They just need your guidance along the way. And they are happy to PAY YOU WELL for your help. Fast Safe Secure Payment via PayPal – with an instant download. NOTE: You don’t need a PayPal account to use your credit card at PayPal. We are so sure you will benefit from our quality eBooks that we offer a 100% money back guarantee!